Alkalux ionized alkaline water can help to neutralize acidity in the body. Clean, healthy water is essential for optimal health and combating the damaging effects of toxins, chemicals and over-acidity in the body. Maintaining a properly balanced pH level is essential for optimal health & wellness. Alkalux ionized alkaline water can help to neutralize acidity in the body caused by stress, the contemporary diet, air pollution and even potentially toxic bottled waters. Water is the single most important resource on our planet and is essential for all living things. The Alkalux alkaline water ionizer gives you the ability to make fresh, clean & healthy, pH balanced alkaline water anytime. The Alkalux systems are designed to create pure, perfect, energized water right from your tap every time. Alkalux smart features allow sensors to automatically adjust to your source water & deliver the cleanest, freshest ionized alkaline water available. Ionized Alkaline Water is full of Oxygen. Ionized water provides the body with lots of oxygen and lots of energy. To get the full power of Negatively Charged, Antioxidant, Oxygen-Rich, Ionized Water, it must be consumed fresh and strong, right out of the tap. 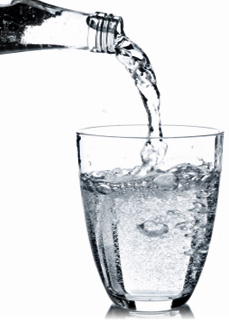 The other Antioxidant quality of Ionized Water is hydroxyl ions. Hydroxyl ions are oxygen molecules with an extra electron attached to them (this is similar to all antioxidants such as vitamins A, C and E). Hydroxyl ions scavenge for free radicals, which are unstable oxygen molecules that cause us damage. When a hydroxyl antioxidant and free radical cancel each other, the result is a body with more oxygen and therefore more energy. Oxygen is one of the most exhausted nutrients in our body because of our diet and the Earth's oxygen-depleted environment today. Oxygen destroys cancer cells as well as bacteria and viruses that enter the body. It also carries away acid waste from body tissue. Oxygen is vital to human health, and is our most important nutrient. 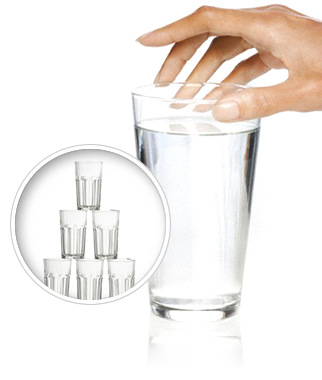 A tall glass of strong, ionized water first thing in the morning naturally helps you to wake up. 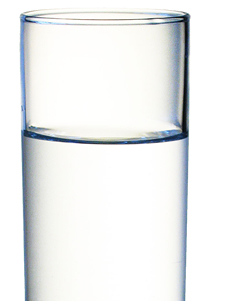 Ionized Alkaline Water is up to six times more Hydrating than regular water. Water makes up over 80% of our bodies. 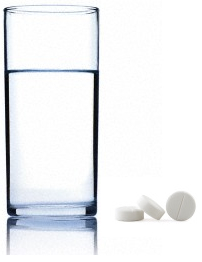 Ionized Water is fundamentally different from conventional water. That is, the size and shape of the water molecule cluster is reduced in size and changed to a hexagonal shape, which allows the water cluster to pass through our tissue quickly and easily. One of the primary causes of disease is chronic cellular dehydration (or not providing the body with sufficient water), a condition which leaves the body's cells in a perpetual state of weakness and defense. Most people simply do not drink enough water (at least half our weight in ounces) to keep ourselves properly hydrated and therefore healthy. Ionized Alkaline Water is Alkaline. Ionized water helps balance the body's pH, which tends to be acidic because of our diet comprised of cooked foods, pasteurized or otherwise processed foods. Soft drinks are the most acid substance a person can put in their body. This acidic condition creates an ideal environment in our body for disease to thrive. For example, accumulated acid waste in the joints encourages inflammation and arthritis. Because it is very alkaline, ionized water dissolves accumulated acid waste and returns the body to a balance. Keeping ourselves alkaline is the first line of defense in fighting any disease.